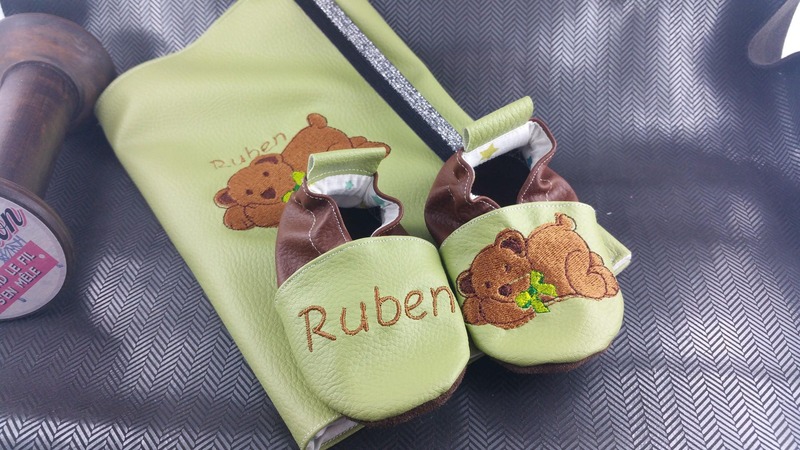 1 / booties have soft bottoms, top is faux leather light green and Brown here with the name of child and the other foot bear lying with a bow that I can change the color. 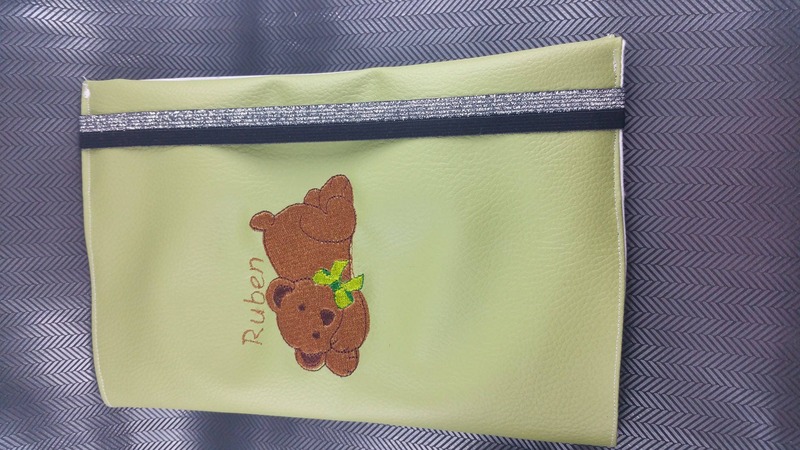 2 / protects it health record is faux leather, embroidered with the name of child and resuming the motive for lying bear here. 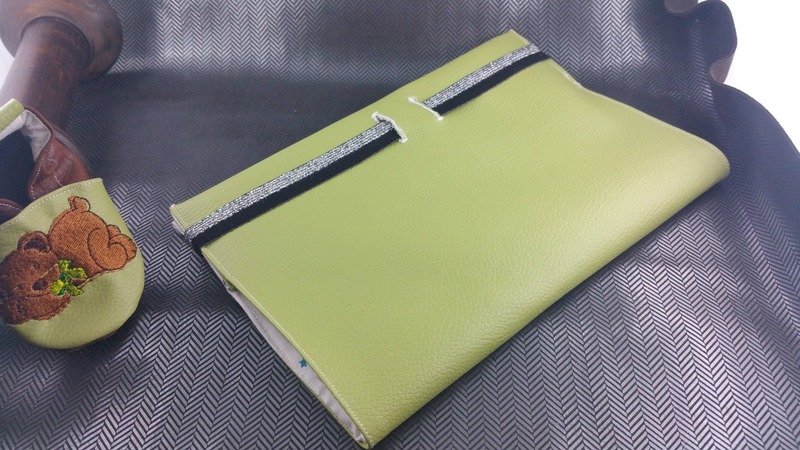 Protects it notebook is lined with cotton and closed by a black and silver elastic to lose orders. 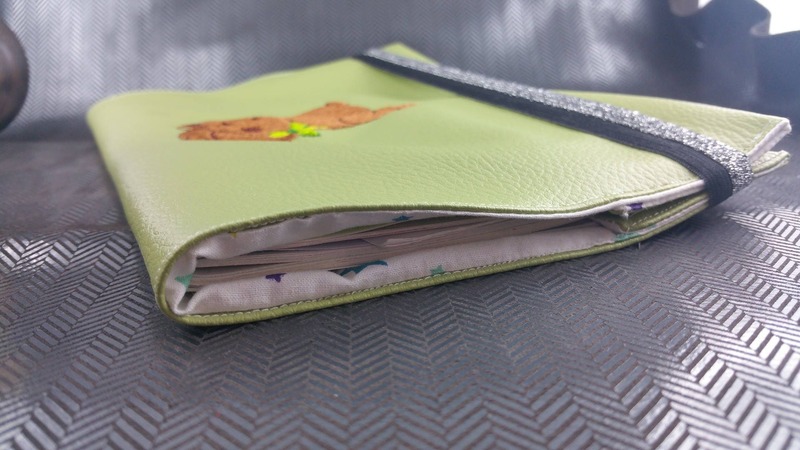 It is also possible to make the same case for girl.